Wat is dit voor site? Wij zoeken de goedkoopste boeken op internet. 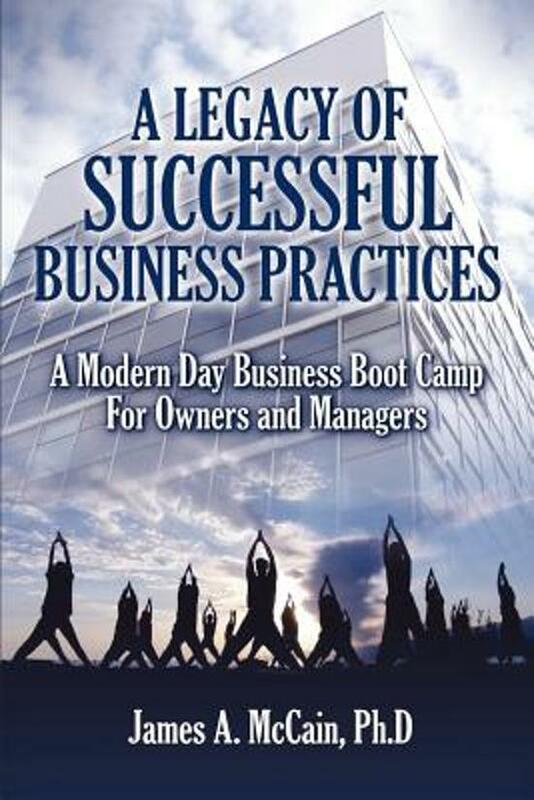 A Legacy of Successful Business Practicesvonden we het goedkoopst op Bol.com voor €18.99. We hebben gezocht in nieuwe en tweedehands boeken. Rechtsonderaan de pagina kan je het boek direct bestellen	via Bol	.com. A business owner's leadership burden can be immensely stressful. However confident they may be, there will be times when they'll wish for another mature, experienced businessperson to provide a vital second opinion or alternative idea. Jim McCain's solution is to provide business owners with practical and proven advice at a reasonable price. Business solutions do not have to provide financial hardship for a business, and timely advice and ideas are often critical for business survival. In this book, Jim McCain (the Business Doctor), founder and CEO of Business Works, an international consulting firm, describes successful business practices he has installed for literally hundreds of organizations, ranging from manufacturing and service companies to organizations in non-profit sectors such as hospitals, over a period of thirty years. He packs his book with tips and techniques that resolves business problems and gets organizations up and running in record time with record results. His specialty is solving complex and intractable problems that otherwise would have bankrupted businesses. He is committed to advancing the understanding of how independent business works, providing research pertaining to independent business, and training business leaders in how best to succeed and flourish.